A wonderful keepsake gift for a special husband on his birthday, an anniversary or at Christmas time. It is sure to bring a smile to his face, and he certainly wont have anything quite like it! very frame is unique because of the natural grain of the wood, which really adds a personal touch for each recipient. 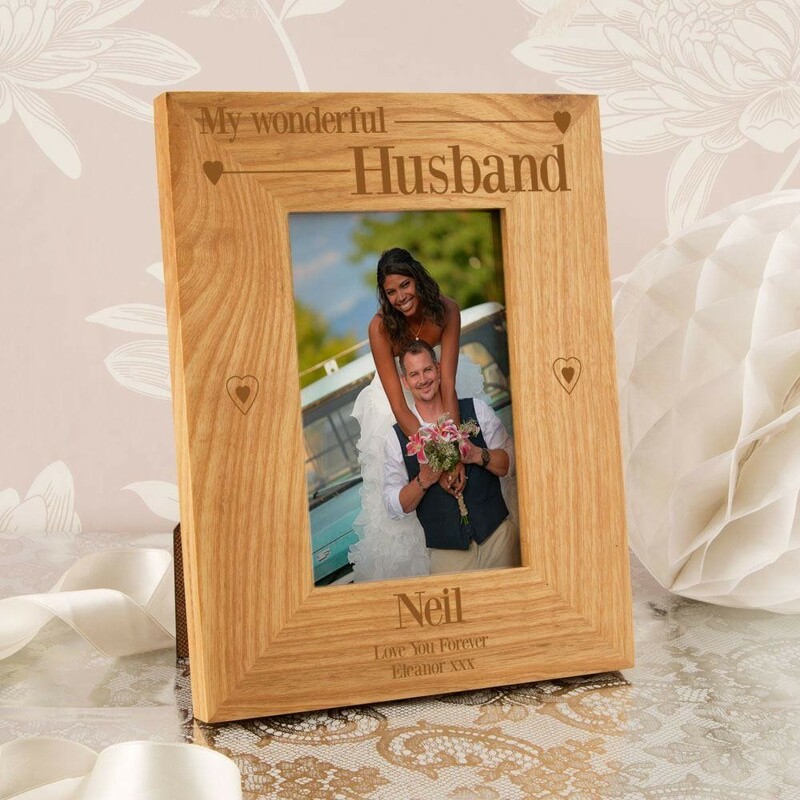 We think he he will be proud to display such a thoughtful frame, complete with a snapshot of him with his better half! The laser darkens the wood providing definition that would otherwise be lacking with standard engraving.